« Coming and Going. Going and Coming. By now you know that we were in Freehold two days ago. Eileen was called for jury duty, and I was her personal driver, finding my way around the maze that is downtown Freehold, which is a really nice place. 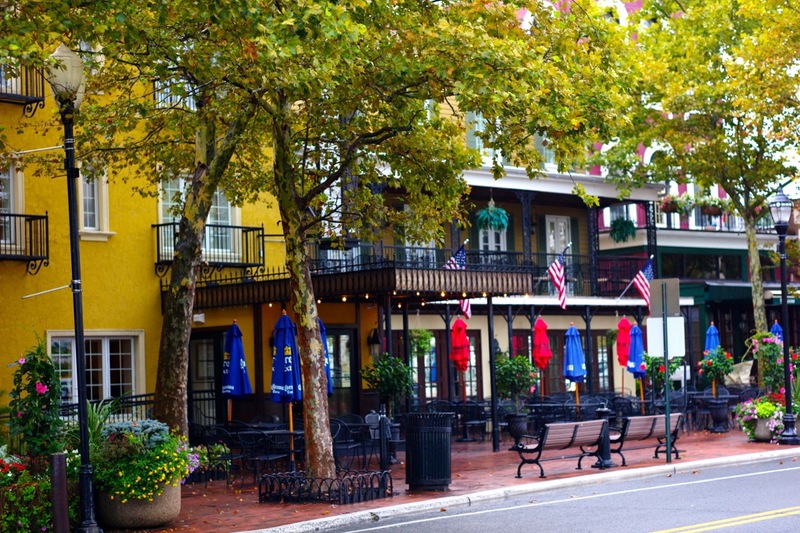 It has a comfortable feel, with some beautiful old homes in the neighborhood, lots of trees, and the downtown is like small town America. While Eileen was rolling the dice in the jury pool, I was taking pictures in the rain. You can get to the Monmouth County Courthouse, Raceway Mall, or the Monmouth Battlefield Park within a few minutes. You can also hop onto Colts Neck Road and see the most beautiful horse farms there. If it weren’t for the bagel place, you would think you were in Kentucky—-well, OK, I exaggerate a bit. So, while walking around downtown I stumbled on the Brooklyn Bagels and Deli store. My immediate reaction was: “Really? Brooklyn?” The store was in a small strip mall positioned quaintly vertical to Main Street, with plenty of parking, and a wonderful statue celebrating the Battle of Monmouth which was fought around there in 1778. It was a pivotal battle in the course of the Revolutionary War. (See the photo of Gen. Von Steuben). But I was hungry, so it’s time to take a chance on another mediocre bagel place. But, fuhgetaboutit—this place is a hidden treasure. The store is small but very cozy. There is minimal seating inside and out. The bagels are hand rolled (always a good sign), and the Brooklyn Bagel shop was warm and smelled of fresh baked bagels and coffee. Two women were behind the counter, and they looked very happy to be there. Each was about 4’10” tall, but they were friendly and fast. I ordered a sesame bagel, toasted twice, with cream cheese. The coffee was self service, so I got a medium and sat outside on what was a picnic bench. Two young guys nearby, with shirts and ties, were talking football. Another guy, about my age, sat down at a table with his food, coffee and the NY Post. “Me too,” I said. We had a bond. Why is it that places like this are 50% patronized by retired men who often sit together in small groups. But I prefer the company of my iPad-mini with retina display (to check on the BF photos) and my earphones (to check on the BF music.) This place will be immortalized on Blogfinger, I thought. After that, I went to the Raceway Mall to check out the Apple Store—but that’s a story for another time. Then I went to Wegman’s to pick up some things for dinner, and then to the Verizon Store to discuss a trade-in for my iPad and also the iOS version 8 which rolled out yesterday. I decided not to get the iPhone 6 because I’m not sure if I really need it. I am a huge Apple fan. At 3 pm I got a call from Eileen. She was initially considered for a murder trial, but she was excused, but not released. So back she went, into the pool. Finally, they didn’t need her at all, and she was out of the loop for at least three years. Boy was she happy, and she actually made a new friend, Roz from Manalapan, who was in the same judicial boat. 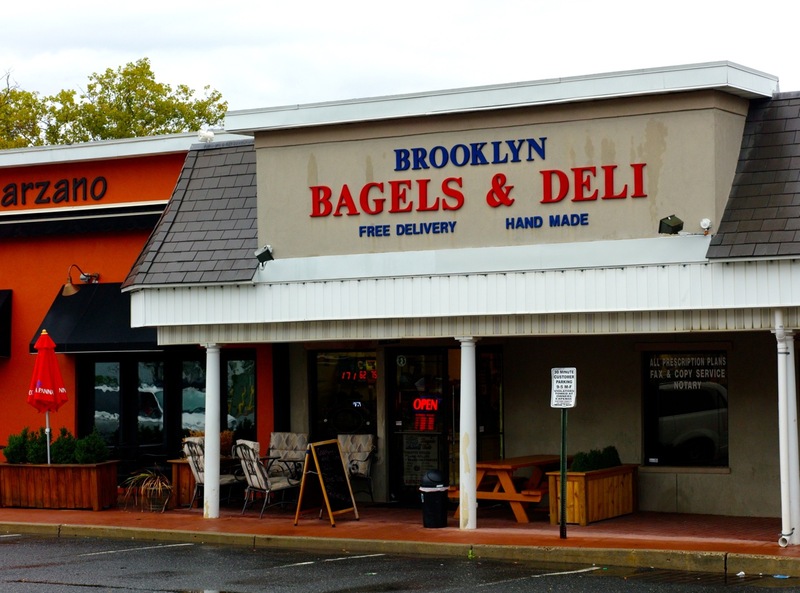 So, if you are in Freehold, try the Brooklyn Bagels and Deli at 31 East Main Street. JACK TEAGARDEN with the “Basin Street Blues” from the album Mis’ry and the Blues.